Audrey Whyndan is a firstborn noble daughter of the Lord Gray Whyndan, a minor nobleman of Erredor. She was born and raised to assume his lands and titles once she came of age, tutored in the finer points of being a Lady and noble politics, none of which actually interested her. A troublemaker from the time she could crawl, as she grew she became more unruly preferring the company of her Lord Father’s men at arms and the feel of the sword rather than the pen. The more her father tried to control her the more she rebelled (as such things go with parents and children) until her father could bear it no more. Stripping her of her name and claim to his lands, he cast her out at the age of 14 and told the kingdom she had died of unnatural causes, granting her rightful inheritance to her younger sister Deanna. Audrey made her way North for many weeks, and stole passage to Norgoth in a crate of supplies being loaded into a baggage caravan. Escaping out in the wilderness of Norgoth she managed to keep herself alive for weeks before being descended upon by a hunting pack of gnolls in Gnoll Blight. Despite managing to kill two of the creatures in her weakened state, she was seriously wounded but continued to fight on. Just when all hope seemed lost, a hunting party of Norgothcan hunters came across the fight, and quickly dispatched the gnolls. 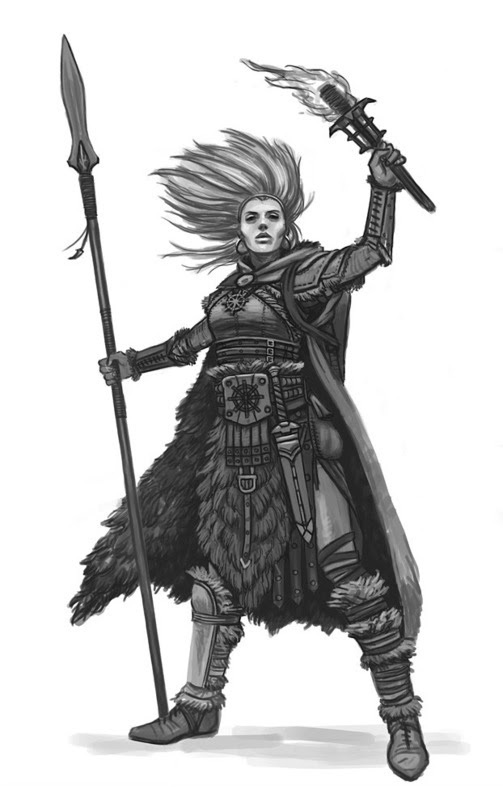 She told the men of her origin and her intent to raise an army to storm south to retake her lands and condemn her father to a fate worse than he had hoped for her. Whether it was the promise of riches or the ferocity of her hatred of her father that convinced them, she still isn’t sure, but the clansmen took her in and raised her as their own. She was taken in by the family of Bromm Hordecrusher, who already had two sons, Uln and Dron which she now considers her new family. Because of her heritage, Audrey was given the surname Southborn. She continued to train in warfare in her new home of Hosfell. 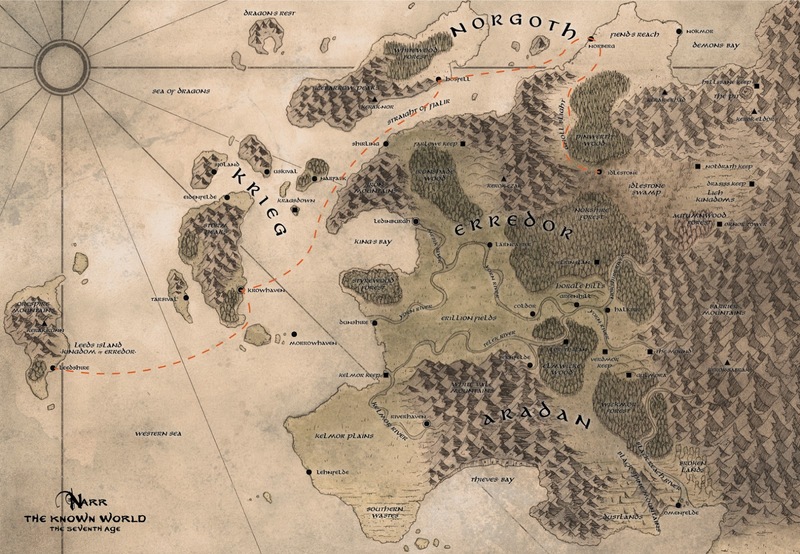 Never truly feeling like Norgoth was her home, she set out on her own to gain worldly experience, leaving for Krowhaven, and eventually ending up on Leeds Island.